creme fraiche | What's for tea tonight dear? This time though I knew I must have hit some kind of jackpot because blue lights started flashing, sirens wailed and the machine wired up to my chest made frequent, frantic beeping noises. Turns out this prize was life-saving, piercing-edge, percutaneous surgery, and the specialist teams at the West Middlesex and Hammersmith Hospitals have earned – in every sense – my undying gratitude. So now I’m faced with a choice food-wise: renounce totally anything enjoyable but potentially naughty and live out my days in the epicurean equivalent of a hair shirt, or expend some additional effort on finding foods that are both healthy and beautiful [whilst admitting the odd something sinful from time to time]. Actually you make the same choice several times every day, this sort of thing just has a way of turning decisions into DECISIONS. Well I’ve made mine. And I will not go hungry into that good night. I served this with a splodge of low fat crème fraîche, which would actually have been my choice before all the cardiac kerfuffle. Slash the figs with deep, quartering cuts almost all the way through, and arrange snugly in a shallow dish. Whisk the spice and vanilla into the ginger wine and pour over the figs. 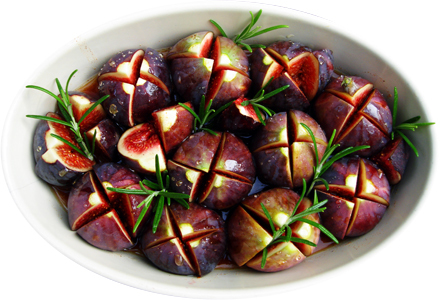 Drizzle the honey over and into the figs, strew the rosemary sprigs about, and bake in a 190C oven for 25 minutes to half an hour. Baste with the juices once or twice during cooking, and spoon over plenty as you serve. rounded teaspoon of the filling in each. Add enough cream or crème fraiche to your reduced sauce to quadruple its volume along with a teaspoon of good grain mustard and adjust the seasoning. The ravioli are cooked when the water returns to the boil and they float to the surface. Transfer them to warmed plates and drizzle sparingly with olive oil, then liberally with the sauce. Nothing says French holiday quite like a ‘Tarte au Chevres’. Returning holiday makers however please take note – not even an award-winning local cheese shop is likely to be able to source “the wonderful little goats cheese made by the old man with a stall every other Thursday in such and such village in the Loire”, as his cheese probably never makes it as far as the next village on, let alone out of the country! This is your opportunity to recreate a happy facsimile with something more local. Last time I used Pant-Ys-Gawn, next I intend to use Dorstone. 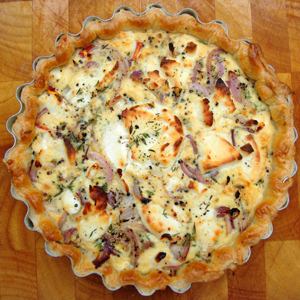 NB – this is easiest with ready baked tart cases. If making your own blind bake first. Paint the inside of the of the pastry case[s] with the mustard. Arrange the tomato quarters neatly in the bottom, strew over the sautéed onions and season well. Mix the beaten eggs, herbs and crème fraiche and pour around the tomatoes – they should just break the surface. Crumble the goats cheese over the top [or for individual tarts try slicing into four neat discs and place one in the centre of each], and season again with plenty of black pepper and any stray morsels of herb. Bake in a 220°C oven for 20 minutes. The top should be golden with brown tinged edges and corners here and there. 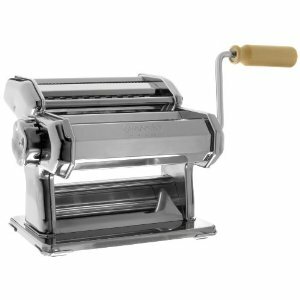 Allow to cool and eat at room temperature. A simply dressed salad of fennel, olives and chicory eats well with it.